Price: $119.95 – $149.95 & FREE Shipping. The innovated model of the white CINDY figure skates in a new design for beginner competitors and active figure skaters. The reinforced upper made of strong layered leather with a unique water-resistant PUR surface finish and RELAST textile laminated lining provides comfort inside the boot. The boot also includes ankle padding, an anatomical tongue and a soft and flexible collar around the calves. LTT technology increases the support and precise control. A brown PVC outsole with the BOTAS logo on the heel made of rigid and resistant plastic. New PRINCESS skates with an excellent surface mirror finish with the European TÜV GS certificate. The Cindy Botas Women’s ice skates are perfect for the beginning competitor or the professional skater. Our boots are used by the best in the industry and are well known for their high-quality build and their excellent comfort. Our Cindy model brings a strong waterproof finish to the body of the boot, and the upper body is layered in leather and sealed with a PUR finish. Inside the shoe, Cindy is padded with a flexible protection around them too, a laminated lining inside the shoe itself and a sturdy padding on the interior to protect the ankles. Cindy figure skates come in the classic figure skating White with a brown plastic sole. Our skates are made with Layers Thermo Technology; this means our shoes will keep your feet warm, as well supported. This quality design along with our BOTAS SPIRIT with TUV GS European certificate blades will help increase your precision and control on the ice. 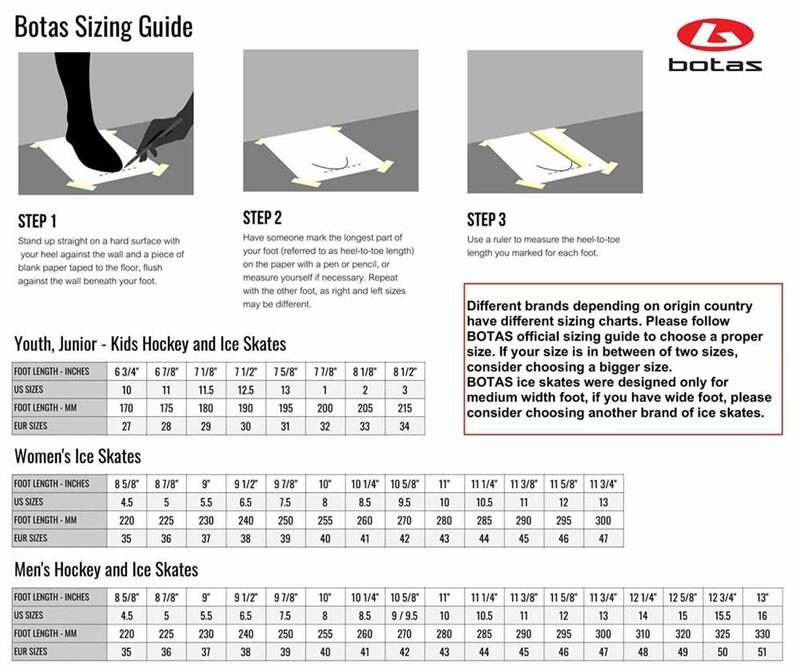 Often, many skaters that are buying their first pair of figure skates will choose their local sporting goods store over buying their boots online. Our Cindy figure skates are well worth the purchase. The fastest way to improve the performance of your skating is to get the best boot in the business. The quality of our materials and the attention to detail that go into the making of every Botas boot is where we get our reputation.